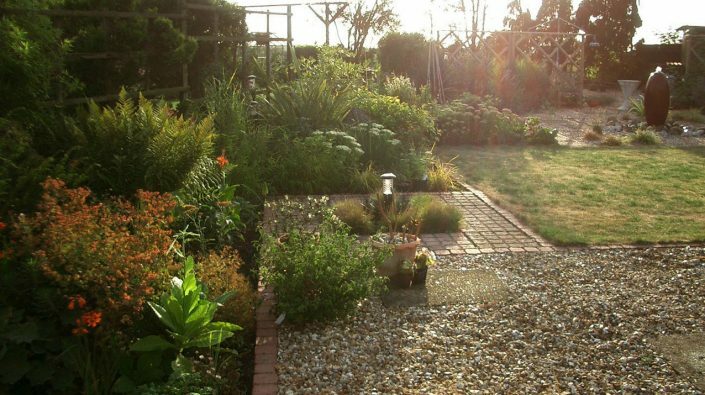 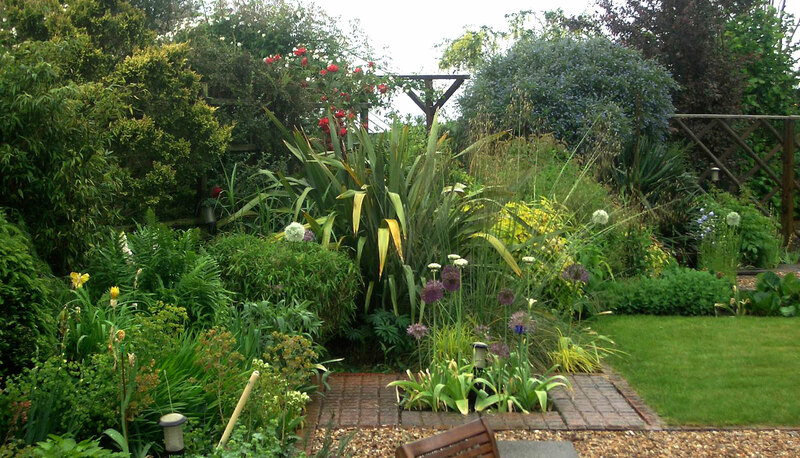 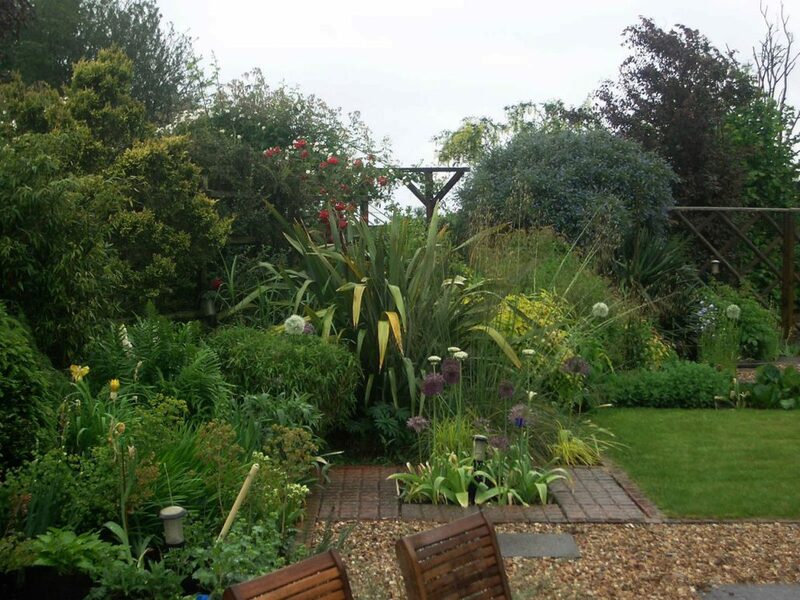 This garden was amazing to watch as the incredibly fertile Cambridgeshire soil gave the planting such a boost that in year 2 it already looked like a mature garden. The clients wish list was to have less lawn as the mowing was taking over the weekends, more planting, a vegetable patch, a screened off area to disguise the washing and a very unusual water feature was requested. 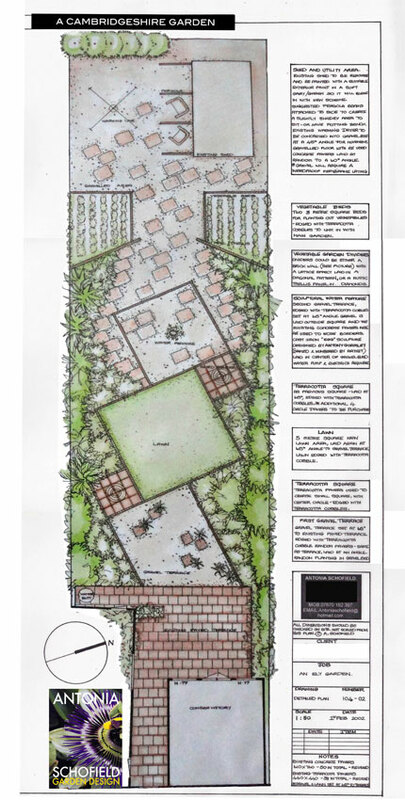 The challenge here was to create a space more intriguing and unexpected than the existing very long and narrow plot. The answer was to divide up the space into a series of geometric shapes that would trick the eye into thinking the garden was wider than it actually was. 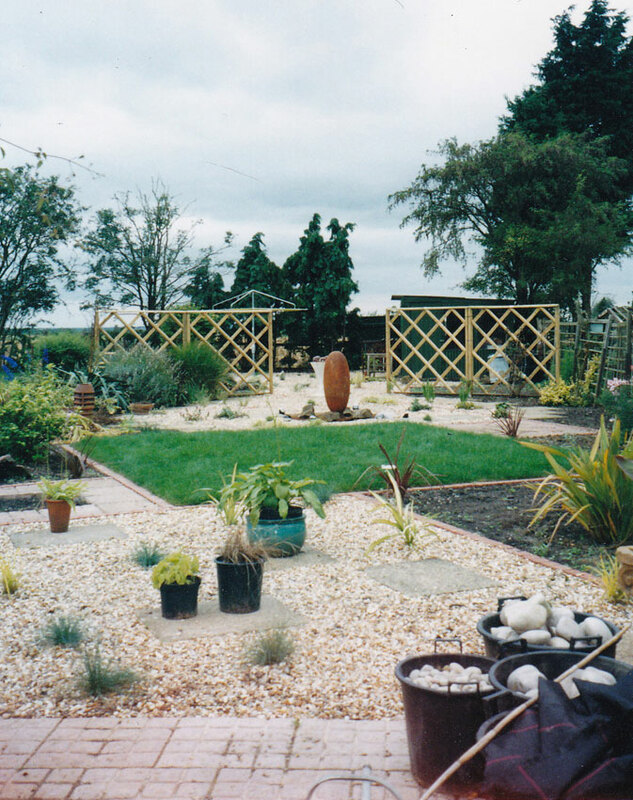 The end of the garden was sectioned off by rustic trellis panels to denote a vegetable patch area and washing line. 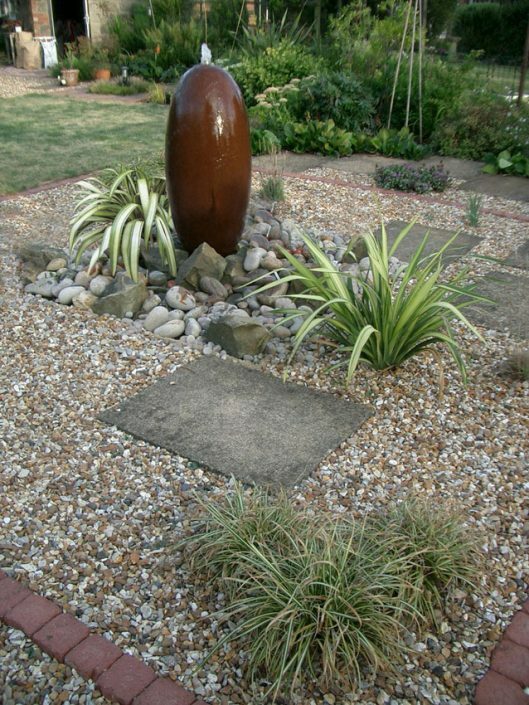 In keeping with a country garden, rustic terracotta setts and pavers were sourced to detail the shapes, and the infill was graveled over to keep maintenance lower. The water feature request was a real triumph and something of a collector’s piece as well. I came across the foundry that had commissioned Anthony Gormley the sculptor to design a series of decorative street furniture bollards that were to be used in redeveloping upcoming areas. 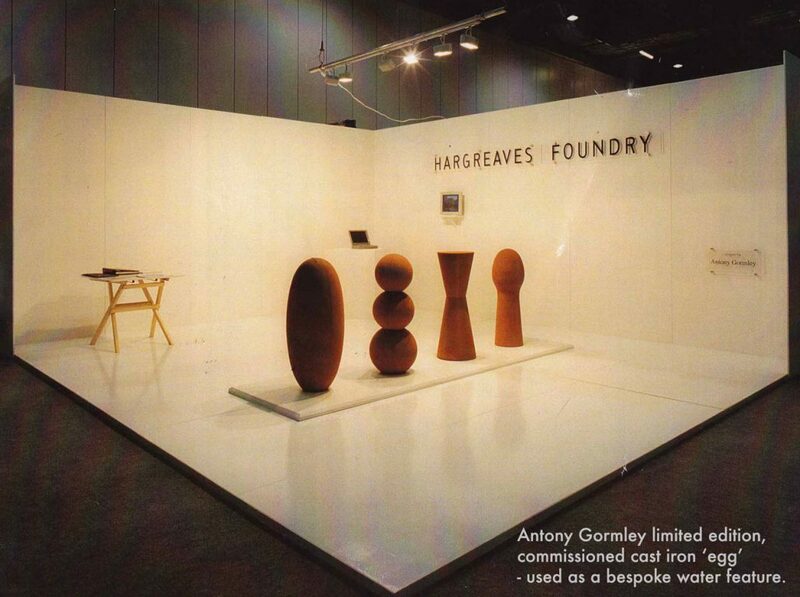 The foundry agreed to sell me just one and to provide it with a hole at the top end. 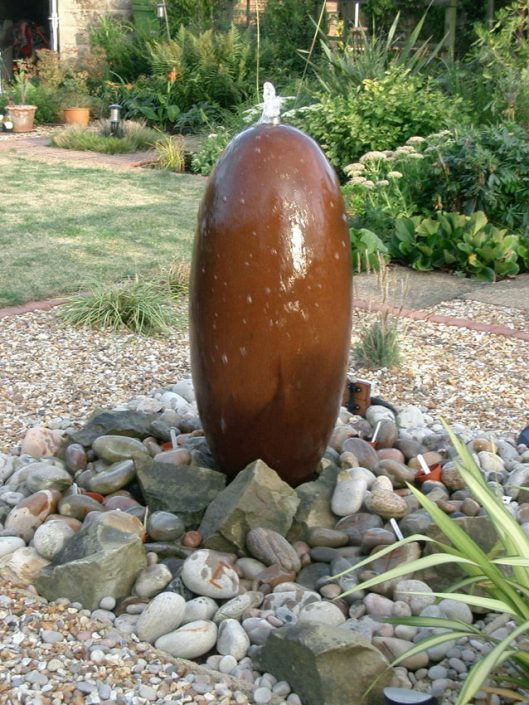 When I explained this was destined to be a water feature they were amazed and delighted with the novel way of using this huge piece of steel. 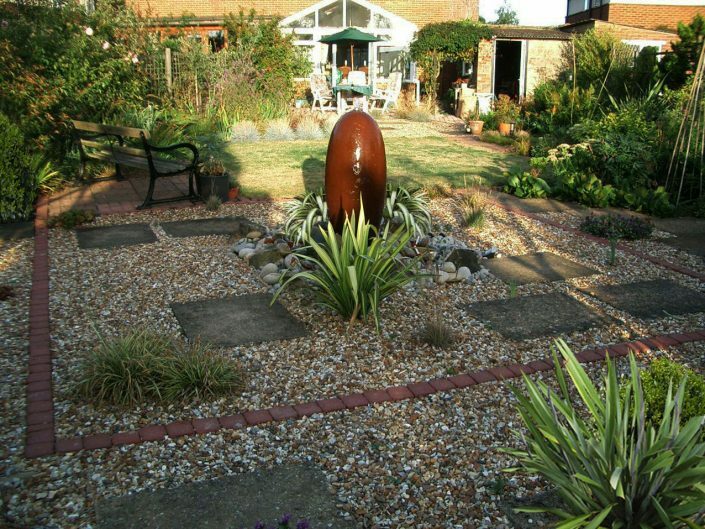 The resulting feature nicknamed ‘the bomb” has indeed become a talking point of the garden! 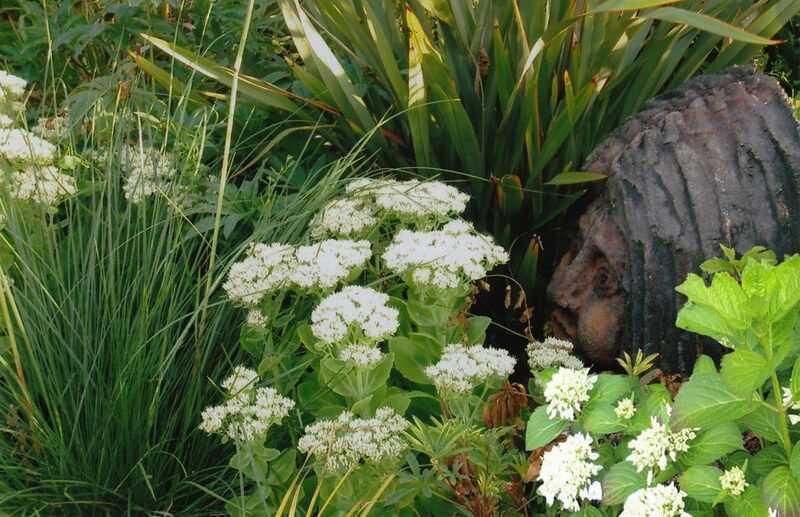 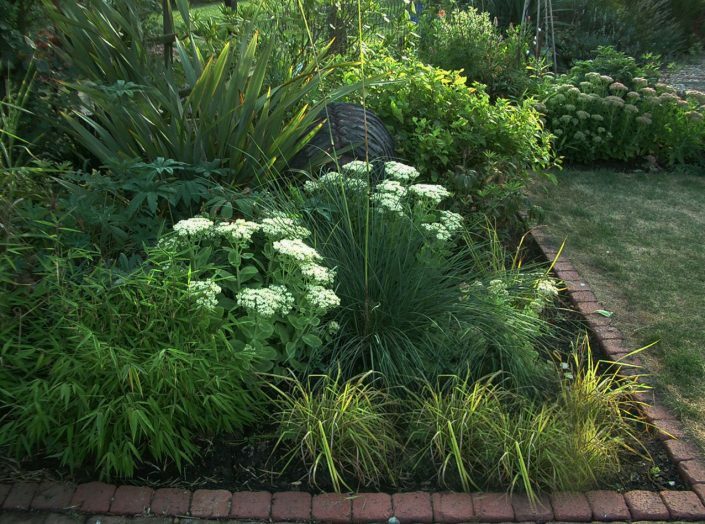 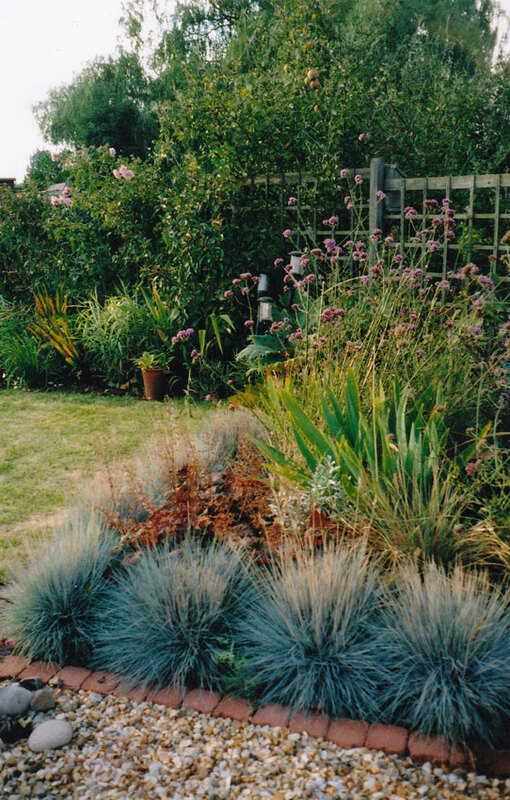 Back to the planting –as the new borders were quite large and deep we decided to colour theme each border into blues and violets, pinks, greens and whites, and group similar leaves, textures together to add more interest. 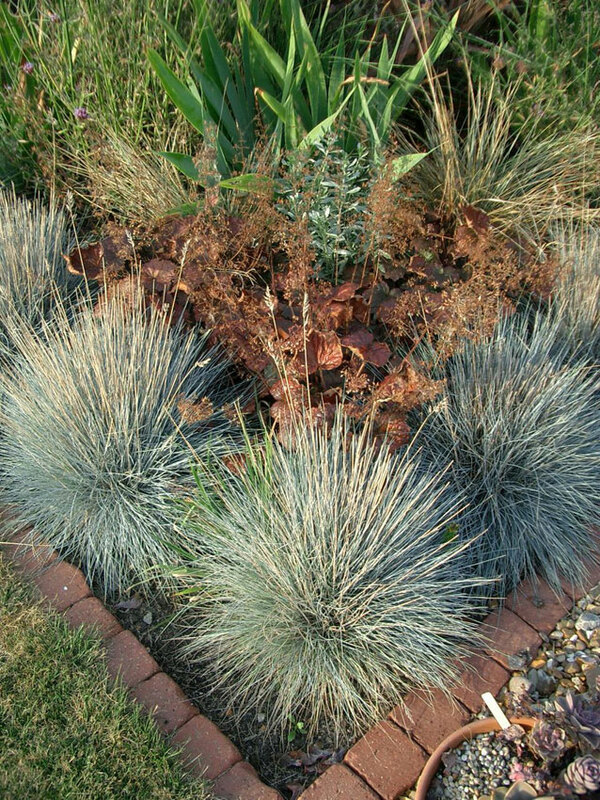 Large shrubs and architectural plants such as Phormiums, and grasses were used throughout the scheme.